The parent company of DISA, Italpresse Gauss (incorporating Italpresse Industrie and Gauss Automazione), Norican Digital, StrikoWestofen and Wheelabrator. 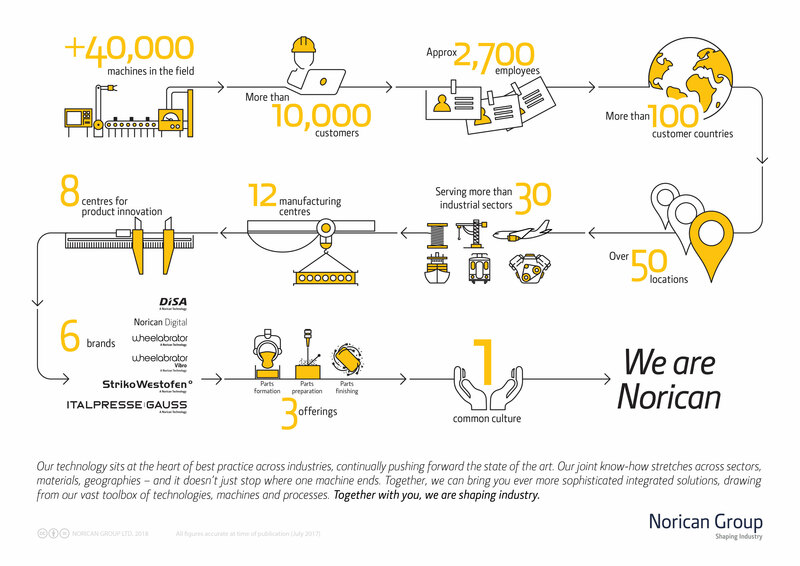 Norican Group is home to four leading, globally operating technologies: DISA, Italpresse Gauss (incorporating Italpresse Industrie and Gauss Automazione), StrikoWestofen and Wheelabrator, all strengthened by Norican Digital. As one strong global partner, we are able to serve you better, faster and more efficiently, giving you easy access to all we have to offer and working in partnership to keep you well ahead of the curve. From melting, dosing and moulding through to surface preparation, we provide the solutions to solve your challenges. Our technology sits at the heart of best practice across industries, continually pushing forward the state of the art. A global network of engineering expertise, manufacturing capacity and service support ensures we are where our customers need us to be, at every stage of their process and for every challenge they may face. As one, we can do more. Joining together our four incredible brands in one company means we can be even closer to you and offer you more. 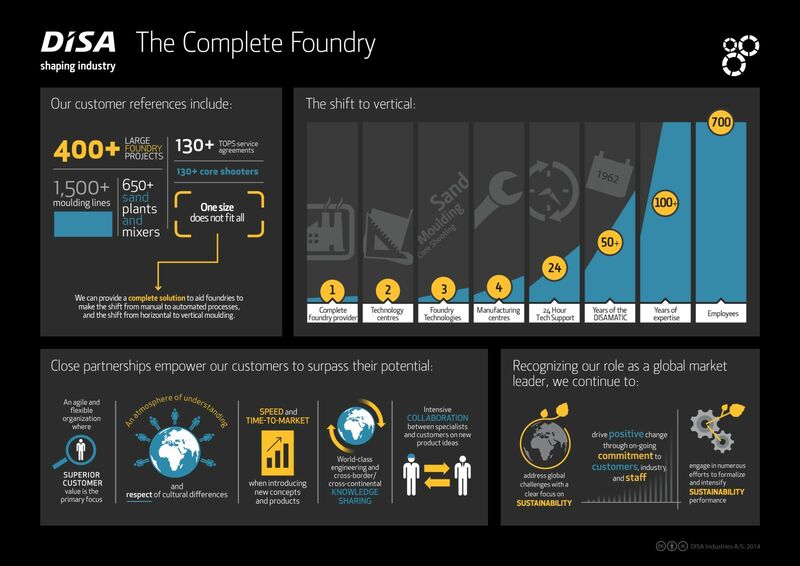 Our joint know-how stretches across sectors, materials, geographies – and it doesn’t just stop where one machine ends. Together, we can bring you ever more sophisticated integrated solutions, drawing from our vast toolbox of technologies, machines and processes. 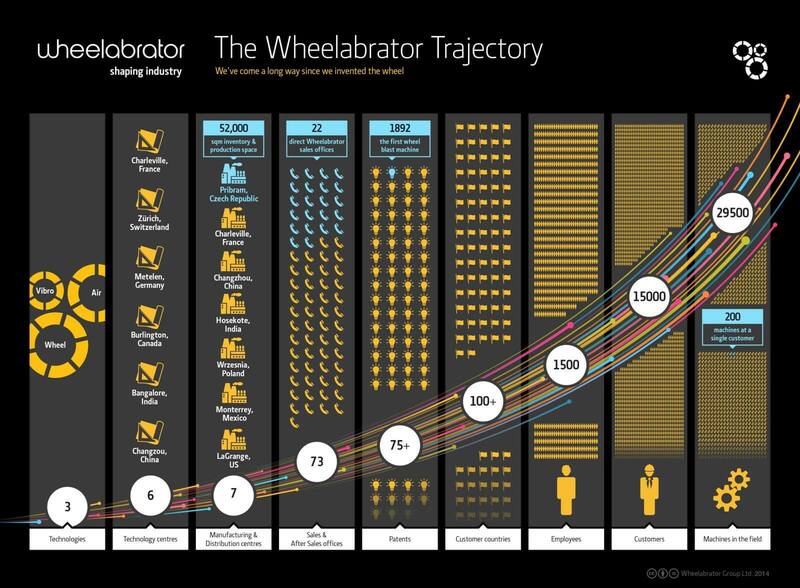 In the context of Industry 4.0, this bigger picture view will be invaluable. End-to-end grey iron foundry equipment, encompassing DISAMATIC vertical moulding lines, DISA MATCH matchplate moulding and DISA FLEX horizontal moulding solutions and supported by sand plant solutions. Complete, integrated light alloy casting solutions, including machines and automatic work cells for high-pressure, low-pressure and gravity die casting, with specialist expertise in supplying work cells for the production of complex automotive castings. High-end melting and dosing technology for the global light metal casting industry, including StrikoMelter melting furnaces as well as Westomat dosing furnaces. Surface preparation technology, spanning both wheel and air blast equipment, parts and services, as well as vibratory finishing solutions and subcontract shot peening services. Connecting your equipment and setting up a standardized IoT infrastructure to securely collect, store and optimise your data, processes and productivity to give you a better return on investment. Are you ready to Shape Industry? Join Norican Group and its leading technology brands: DISA, Italpresse Gauss, StrikoWestofen and Wheelabrator.